A 15-year-old Henryetta teen was arrested late Tuesday night after he allegedly took a pipe and a rock to the windows of Henreytta police cars. Police were responding to a call about someone trying to break into some storage buildings on Frisco Avenue. When they arrived at the scene, an individual ran from the area causing officers to chase him. He was able to elude the officers but, on their way back to their cars, they found the teen hitting the car windows with a pipe. 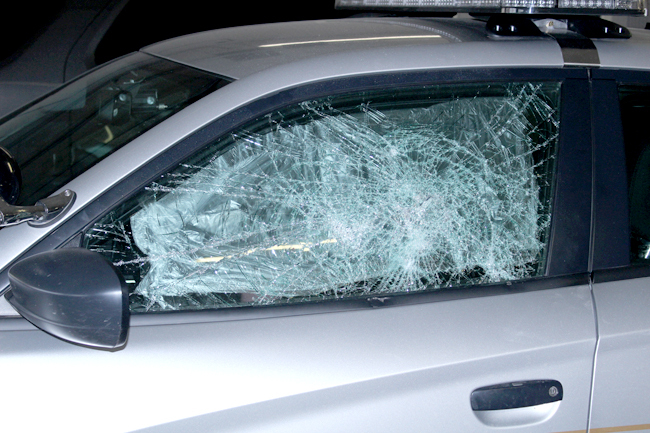 He threw a rock through the back window of the police car shattering it. 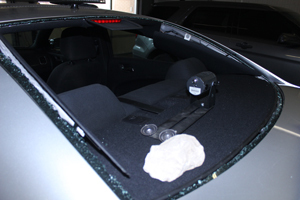 A window on the drivers' side was broken and a nuber of large chips knocked into the front windshield. Only one car was damaged in the attack. The teen was turned over to county juvenile authorities.